It’s that time of year again, the SMART Girls training program has started in each of the five units in the Great Lakes Bay Region. SMART Girls is a small-group health, fitness, prevention, education and self-esteem enhancement program. Through dynamic sessions, participatory activities, field trips, mentoring opportunities with adult women, and hands-on activities, Club girls explore values and build skills. In honor of the young ladies of the Boys & Girls Clubs of the Great Lakes Bay Region, please join in celebrating the graduates from the SMART Girls Program. 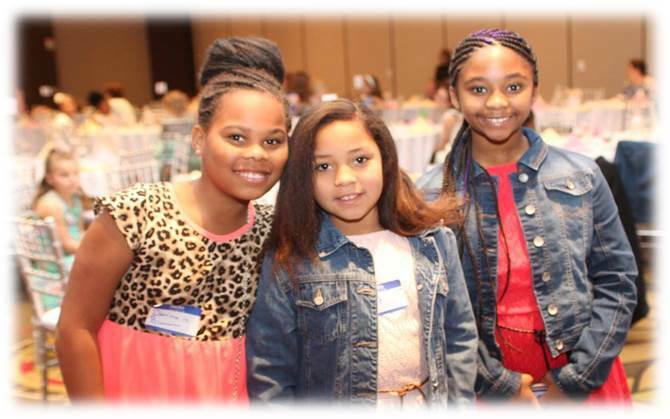 The accomplishments of each of these girls will be celebrated during the SMART Girls Tea Jubilee on Thursday May 23, 2019 at the Riverfront Doubletree in Bay City. A program featuring inspiring words from friends of the Club and local female leaders will focus on personal stories and encouragement. We need your help supporting the SMART Girls program and female youth in your community. This self-esteem enhancement program is a vital program for Club girls to learn valuable life lessons and build character. Each girl will receive a dress to wear to the event and enjoy tea, sandwiches, and desserts with our female supporters. How can you show your support?